Frequently collaborating for cerebral and wavy rap tracks, producer Cris Dinero and rapper wifisfuneral display an innate chemistry drawing from a shared worldview. Combining again for a three-track effort, Cris and wifi share Last Time Doing Drugs, a new bite-sized EP. With over 100k streams on SoundCloud since its release on Saturday, Last Time Doing Drugs is honest and self-deprecating, with wifi expressing his existential ennui over Dinero’s droning, aqueous instrumentals. Featuring an appearance from Craig Xen, Last Time Doing Drugs gives listeners a peek into wifi’s mindset as he prepares for Ethernet, his upcoming project. 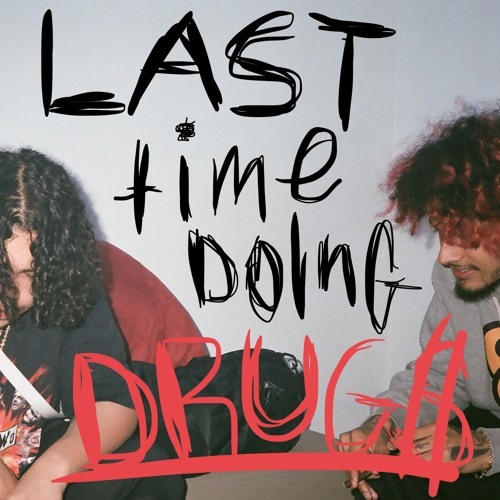 Last Time Doing Drugs is Cris and wifi’s first release since “LilSkiesFuneral,” which features breakout rapper Lil Skies and racked up over 1.7 million plays on SoundCloud since its release last month. Last Time Doing Drugs finds and Cris Dinero wifisfuneral expanding the sonic world created by Boy Who Cried Wolf, wifi’s major label debut mixtape, which featured many Cris Dinero productions. Released in August, Boy Who Cried Wolf is the next step in wifisfuneral’s evolution as an artist, featuring previously released singles such as the Joe Budden-cosigned “JoeBuddenProbablyThinksICantRap 🙁,“ the slyly self-aware “lil jeff hardy >:-),” and the posse cut “Centerfold.” Named as one of the 50 Best Albums of 2017 by Passion of the Weiss, Boy Who Cried Wolf was wifi’s second project of 2017, following When Hell Falls, which debuted at #17 on the iTunes Hip-Hop Chart and preceded a successful SXSW where he caught the attention of Todd Moscowitz, who signed him to his new venture Alamo/Interscope. In fall 2017, wifi embarked on the successful Boy Who Cried Wolf Tour, which ended last weekend at Rolling Loud Southern California. Named one of the Best New Artists of 2017 by Pigeons and Planes, wifisfuneral’s star has only just started to rise. Look for the young rapper to continue his rise in 2018 with the upcoming release of Ethernet. Please contact Michelle or Dharmic if interested in talking with wifisfuneral. wifisfuneral Background In just one year, nineteen year old South Florida rapper wifisfuneral has taken his dark sonics, mature-beyond-his-years lyrics, and trunk rattling bass from the streets of Palm Beach to the world, amassing over 18 million streams and over 150,000 followers across all platforms. wifisfuneral’s growth has been organic and cult-like, with his fans spreading his music like wildfire with each and every release. With virtually zero promotion other than his social media presence, wifisfuneral’s most recent mixtape Black Heart Revenge (May 27th, 2016) reached #69 on the iTunes hip-hop charts despite being available for free. When Hell Falls, wifisfuneral’s next project, hit stores on January 27th and this time around, peaked at #17 on the iTunes hip-hop charts.